One of the challenges facing commercial fleet operators is the struggle to deal with cost pressures. The issue of lowering fleet costs stems from, among several factors, the instability of global prices of crude oil. With crude oil prices impacting world currencies, fleet operators are faced with keeping their expenses in check while managing their assets and inventories to ensure that supply meets demand. When it comes to commercial vehicles, transportation and running costs can be high. This is normally due to the high insurance rates, maintenance costs and, the cost of fuel. To compensate for these running costs, fleet managers should properly plan how their vehicles are utilised. One way to do so is by properly planning the intended route of delivery, thus minimising unwanted mileage. GPS tracking technology makes it easier for operators to monitor and regulate the movement of their fleets. FTS allows the exchange of information between commercial fleet vehicles and its dispatching centre. GPS tracking also enables employees and business assets to be safeguarded. The tracking gadgets that are currently available in the market come with other useful features which stores data and history of vehicle movements. With the assistance of FTS, the vehicle is able to remain on the routes determined by the system and the estimated package delivery time can be managed accurately. Reducing the size of your fleet lowers the cost required to own and maintain the vehicles. Fleets that have surpassed their lifecycle should be traded in for newer, more reliable ones. The new generation of light-, medium- and heavy-duty trucks generally have longer-lasting engines and are more fuel-efficient as most of them adhere to the Euro 3 emission standard, which makes the engines cleaner than Euro 1 and 2. Fleet owners are constantly on the lookout for fuel products which will benefit their assets and business in the long run. When selecting the most suitable motor oils, such a decision is always made taking into account how the product is able to optimise the performance of a machine and whether it meets the current emissions specifications. Lubrication for commercial vehicles is very important as they affect the functions of the engine, gearbox and axles. 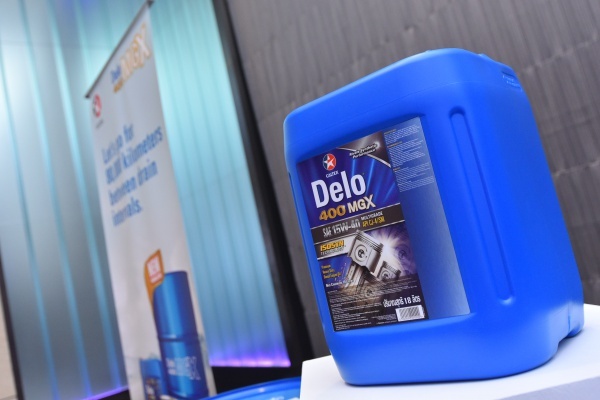 With the needs of commercial industry players as well as stricter emissions legislations in mind, Chevron developed and recently introduced the latest Caltex Delo® 400 MGX SAE 15W-40 premium diesel engine oil, specially formulated with the ISOSYN® Technology. The new Caltex Delo® 400 MGX SAE 15W-40 delivers excellent soot dispersancy and provides greater wear protection and sludge control, as the ISOSYN® Technology combines premium base oils with high performance additives, therefore guarding a vehicle against loss of engine life and reducing fuel consumption. Furthermore, the latest addition to the Delo® product range was specifically developed to meet current emissions and OEM (original equipment manufacturer) requirements as well as performance specifications of the market. What this also means for fleet operators is that by utilising Delo® with ISOSYN®, their vehicles’ service protection is extended and the durability of the engines are maximised, thus, reducing operating costs.